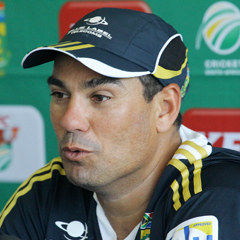 Durban - Proteas T20 coach, Russell Domingo, plans to give all the players in his 15-man squad match time during the three-match T20 series against New Zealand. The squad boasts good experience and exuberant youth; with the latter hopefully giving all South African fans a taste of what the future holds. One of the challenges faced by Domingo and the coaching staff has been to galvanise a new-look T20 squad, and to instil the prevalent team ethos found in the settled Test environment within a short space of time. “The Test culture that has developed over the last couple of years is something that we are striving to take through to the shorter formats, it’s not going to happen overnight,” Domingo explained. “It will be a little bit of a process, but we are feeding it through in small drips at the moment. Little bits of what is happening in the Test side we are trying to incorporate here (T20 squad), while still doing certain things differently because it’s a different group of players, there are different ways to manage the younger players. As much as Domingo has been handed the full coaching reigns over the T20 squad, he still communicates regularly with head coach Gary Kirsten, who remains accountable for the squad. “I always touch base with him, he is ultimately the man in charge,” Domingo said about Kirsten’s involvement. “I cannot deviate massively from the processes that he has put in place but I can do things differently in my own way.